VIDEO: Why choose Kids 'R' Kids of The Woodlands? Why choose Kids 'R' Kids of The Woodlands? Discover the many reasons why we are the right choice for your family. We are so happy you found us! 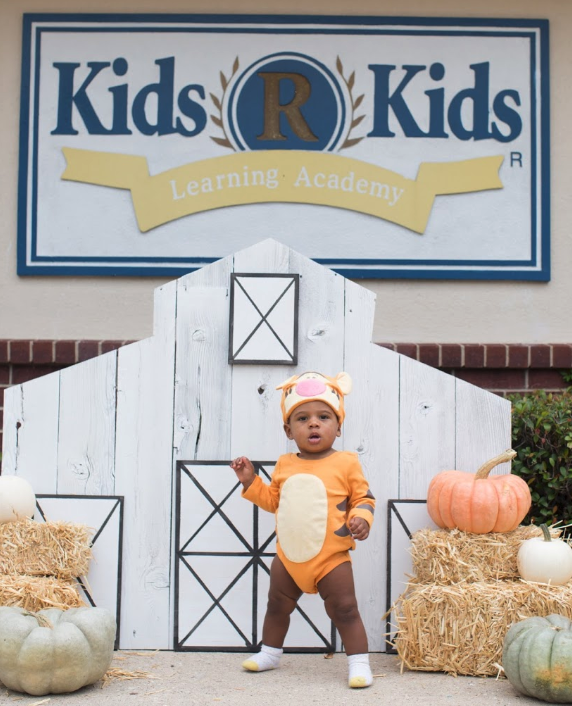 Keep up with all the fun happening here at Kids ‘R’ Kids of The Woodlands by following us on Facebook, Instagram, Twitter and Pinterest! 1/11: Please drop by anytime for a tour! 2/11: Family events are always fun at Kids 'R' Kids! 3/11: We encourage early literacy in our group times. 4/11: Our infant room has lots of room for discovery and exploring! 5/11: Yes, these two super heroes are the fearless leaders of Kids 'R' Kids The Woodlands! 6/11: Our playgrounds are safe, fun, and age appropriate! 7/11: Our students are just the cutest! 8/11: We love to spend time outside on our age appropriate playgrounds and equipment! Fresh air is part of the day! 9/11: This is how we cool off on hot Texas summer days! Our Splash Park make summer-time cool! 10/11: Our safe and secure lobby is the heart of our school. We love to greet our families each day! 11/11: We love to include classroom technology for our students. School readiness starts early!